NORTHRIDGE, Calif.—The Royal Scottish National Orchestra, conducted by its music director Thomas Søndergård, bused into town midway into a Southwest American tour to appear at the Younes and Soraya Nazarian Center for the Performing Arts, familiarly known as “The Soraya,” to present the L.A. premiere of Danny Elfman’s rousing 2017 violin concerto, Eleven Eleven. 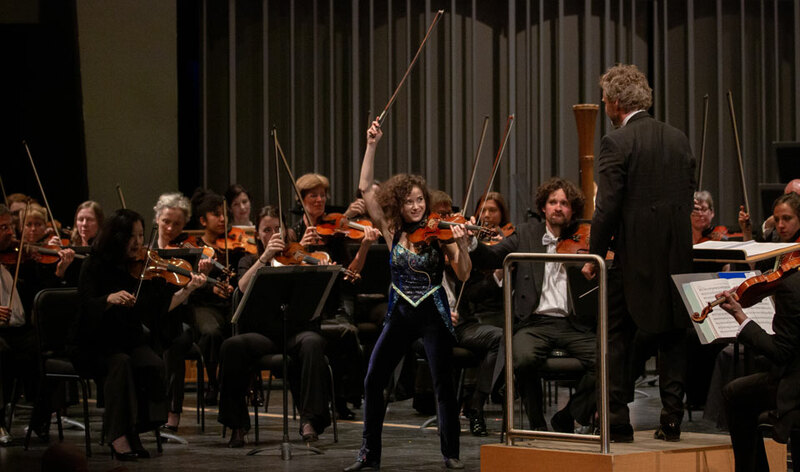 American-born internationally celebrated violinist Sandy Cameron performed the solo, as she did for the world premiere and for its first recording with this orchestra. Still in her early 30s, Cameron already counts as one of the most magnetic violinists of our generation. I was excited to hear this new concerto, written by a composer revered worldwide for his film work over three decades, beginning with his first score on Tim Burton’s 1985 Pee-wee’s Big Adventure. Four-time Oscar nominee Elfman has since scored over 100 films. His most recent work is for Burton’s Dumbo for Disney, and The Grinch for Universal. In recent years Elfman has begun spreading his wings to encompass the concert hall. Also, I had never had the chance before now to visit The Soraya, a stunning venue recently opened on the campus of California State University, Northridge, in the northwest of sprawling L.A. County. The April 4 program also included Finnish composer Jean Sibelius’s Symphony No. 7 (1924) and Soviet composer Sergei Prokofiev’s Symphony No. 5 (1944). A unifying theme for these works is that they are all late works by their creators—although born in 1953, Danny Elfman is still hale and hardy and on a compositional tear—and all written in the same age bracket. Though standard in format to most symphonic concerts—two orchestral works sandwiching a concerto—this concert refreshingly featured all 20th- and 21st-century music. Sibelius’s one-movement Seventh Symphony, perhaps not technically the first symphony in one movement but certainly the first to gain a wide audience, turned out to be among his very last pieces. It premiered when the composer was still under 60, and he followed it in 1926 with his symphonic poem Tapiola, completed, at 60, in 1926. Although he lived to the age of 91 (he died in 1957), he stumbled on the rock of his Symphony No. 8, which he never completed, and throughout the rest of his life wrote little more than revisions to earlier works. The Seventh is a delicately layered, textured post-Romantic work with chromatic Impressionist influences that almost defies description. A listener can hear patches that sound like Edward Elgar or Gustav Mahler—now cloudy, now sunny episodes with no programmatic content or reference to popular genres, and without clearly demarcated sections. Sibelius’s mastery of orchestration is one of his most distinguishing characteristics. He did not identify with the newer spirit of the next generation of composers both in Europe and America who started incorporating ragtime, jazz and Broadway idioms in the 1920s. For that he suffered their brash contempt as being hopelessly old-fashioned, and that may well have contributed to his feeling of being superannuated and out of touch. History has, of course, redeemed him and restored his place in the pantheon. He was as modern as he chose to be, and that is quite enough. Moving along chronologically to Prokofiev, although his Fifth was third on the program, after intermission, this is one of those universally regarded masterpieces that speaks to the contributions of the Soviet system to world culture. Written in 1944 at a time when officialdom had moved their leading cultural figures out of the line of fire during World War II, it already looked forward to Soviet victory over fascism. During the war years Prokofiev wrote his opera War and Peace, based on Tolstoy’s epic novel which had renewed significance as yet another Western European imperial nation attempted to conquer Russia (and why, the querulous critic asks, is this opera not in the standard repertoire?). He also wrote the ballet Cinderella. Prokofiev had returned to the Soviet Union in 1936 in an act of solidarity with his country’s fate, and for the remainder of his life enjoyed what can politely be called a fraught relationship with the Stalin regime at a difficult time in the country’s history. Among his artistic triumphs are the film scores he wrote for Alexander Nevsky, Ivan the Terrible and Lieutenant Kijé, which are considered among the finest in film history. The Fifth was a resounding success, which Prokofiev himself conducted on January 13, 1945, in the Great Hall of the Moscow Conservatory with the USSR State Symphony Orchestra. The event was itself a milestone in Soviet recovery from the war, which did not end in Europe until May, although by then the Soviets had already pushed the Germans back out of USSR territory. Some 30 million people lost their lives on the Eastern Front of the war, including in the death camps which were mostly located in that zone. That premiere, perhaps the apotheosis of his career in the USSR, was Prokofiev’s last public appearance, though he continued composing. There were yet two more symphonies in him. The Sixth, from 1947, referred to the remaining wounds and losses of the war; the following year it met with lashing criticism by culture commissar Andrei Zhdanov for being too “formalist,” the catch-all term Soviet ideologists under Stalin used to defame works that came up short on socialist optimism. Zhdanov died later that year, but that did not help Prokofiev, who despite his international renown was living in extreme poverty owing to official disapproval, and in poor health. His Seventh debuted in late 1952 and has an interesting history, emblematic of the times. Although well received at first, this thoughtful, tragic work ended quietly, and the Soviet establishment was not amused. In order to win the Stalin Prize of 100,000 rubles, the composer added an upbeat coda with the requisite socialist optimism. But he let it be known to his friends in the music world that he preferred the original ending. Prokofiev died on March 5, 1953, in Moscow, unfortunately the very same day that Stalin died. Almost no one attended his funeral because the entire focus of the country was on the death of Stalin. As a sign of his “rehabilitation” in 1957, and as part of the de-Stalinization campaign, the Seventh Symphony was awarded the Lenin Prize. From the opening musical statement of the Fifth, we immediately recognize this music as by the composer of the beloved ballet Romeo and Juliet and Peter and the Wolf which, at least in my day, was an almost ubiquitous children’s introduction to orchestral music. Teeming with melodic ingenuity and grace, the symphony is full of yearning gesture and bold flourishes. The composer stated at the time that he wrote the symphony as “a hymn to free and happy Man, to his mighty powers, his pure and noble spirit.” Overall, but in the third movement especially, we pass through the terror of war as Prokofiev gives us orchestral bombs, shrieking missiles and the clash of arms, followed by a mood of serenity, gathering, and heavy hearts. By the end of the fourth and final movement, a kind of poignant cheer has returned. The forte conclusion must have reassured that first-night audience that the terrible war had been worth it all. Danny Elfman has established himself as one of the most versatile and accomplished film composers in the industry although, as he revealed to an audience that had come early for a pre-concert interview him, a grade school teacher once addressed a note to his parents saying he had “no propensity for music.” A native of Los Angeles, Elfman grew up loving film music. He traveled the world as a young man, absorbing its musical diversity. He helped found the band Oingo Boingo, and came to the attention of a young Tim Burton, who asked him to write the score for Pee-wee’s Big Adventure. The director and composer have forged one of the most fruitful such collaborations in film history. A few of his other scores include the four Oscar-nominated Milk, Good Will Hunting, Big Fish and Men in Black, as well as Edward Scissorhands, Batman, To Die For, The Nightmare Before Christmas, Alice in Wonderland, Avengers: Age of Ultron, Spiderman, and the Errol Morris documentaries The Unknown Known and Standard Operating Procedure. Most recently he has provided the music for Warner Bros.’ Justice League, and Gus Van Sant’s Don’t Worry He Won’t Get Far On Foot. In addition to his film work, Elfman wrote the iconic theme music for the television series The Simpsons and Desperate Housewives. 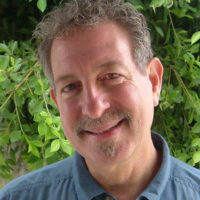 To date Elfman has written just a few concert pieces, such as Serenada Schizophrana, a symphony commissioned by the American Composers Orchestra, which premiered at Carnegie Hall in 2005; Rabbit and Rogue, for the American Ballet Theater choreographed by Twyla Tharp, performed at the Metropolitan Opera house in 2008; and Iris for Cirque du Soleil directed by French choreographer Philippe Decouflé. In 2011, Danny Elfman’s Music from the Films of Tim Burton live orchestral concert premiered at London’s Royal Albert Hall, and has since toured the world and won two Emmys. Eleven Eleven started when Elfman was in Prague for a performance of the Tim Burton films concert music. Sandy Cameron was the soloist for the cadenza from Edward Scissorhands, and someone suggested to Elfman that he write a concerto for her. He then went on an exhaustive study listening to composers including Stravinsky, Prokofiev and Shostakovich. He interviewed Cameron to be in the orchestra for the long-running Cirque du Soleil show Iris at the Kodak (now Dolby) Theatre in 2011-13, but thought she was so talented that she would soon get bored and leave the production. Nevertheless he hired her, and the violin concerto started taking shape with her help. “She had to school me as to what a violinist could do,” he said pre-concert. She showed him scores of the violin concerto by Brahms which indicate the valuable suggestions made by his soloist Joseph Joachim, and also pointed out how David Oistrakh contributed to Dmitri Shostakovich’s concerto. These were true collaborations. When he admitted his hesitancy writing for the violin, which as a pianist he did not really know, she reassured him that the best concertos were written by non-violinists. “The awkwardness is what makes it exciting,” she told him. “As I was in the final stages of going over notes with Sandy, she was curious to know how big the piece had become. It had slowly grown to be quite large, but I hadn’t done a bar count. She guessed it was over 1000 measures and thought it would be amusing if it were close to 1100, as I’ve always been preoccupied with the number eleven. My name, ELFman, has no meaning I could ever find than that ‘elf’ means ‘eleven’ in German. I always assumed an ancestor of mine was the eleventh person to show up for a ceremony or service that required a minimum of ten [a minyan], meaning my ancestor was always late and more or less unessential. That suited me fine. And it answered a few questions about my own character. Eleven Eleven for Violin and Orchestra was co-commissioned by Prague Proms, Royal Scottish National Orchestra and Stanford Live. Sandy Cameron starred in the Prague premiere in June 2017 with the Czech National Symphony Orchestra under John Mauceri. They took it on to the German premiere in Hamburg. The concerto received its U.S. premiere in March 2018 with the Stanford University Symphony, before the Royal Scottish National Orchestra gave the UK premiere in Glasgow in June. The RSNO has recorded the piece for Sony Classical with Ms. Cameron and conduced by Mauceri, paired with Elfman’s Piano Quartet; it is available digitally and on CD. It has also been performed by JoAnn Falletta and the Virginia Symphony, again with Cameron as soloist. Sandy Cameron came out on stage dressed in black tights, flat shoes, and a Comic-Con top that made her look as though she had just stepped out of a leading role in one of Tim Burton’s films (scored by Mr. Elfman, naturally). The four-movement concerto begins quietly, but as soon as it livens up we see no fewer than seven percussionists lined up across the back of the orchestra to contribute to the general organized cacophony. Cameron played the score by heart, fully giving herself to sinuous feline movement and dance with her lithe, athletic body in a supple rock-star performance that went far into and beyond the musical, her mop of dark brown curls bouncing ecstatically around her head. Stylistically it is easy to discern an influence from the Soviet composers Elfman studied, with their fresh, otherworldly lyricism married to the tradition of the classical orchestra. Elfman exploits all the technical virtues of the violin, including some Cameron had to teach him, as the solo part drifts in and out of audibility in the large ensemble. Mostly Elfman succeeds in keeping the orchestra out of the soloist’s way when it is time for an important statement. One can also hear the effects of listening to contemporary composers such as John Adams (“The Chairman Dances” adapted from the opera Nixon in China) and Philip Glass. The concerto is both profound and playful, marked by a tight embrace of human emotion, and thoroughly compelling. Out of its 1111 measures there seemed not be a superfluous note. In short, it’s a major contribution to the violin and orchestra literature, among the finest concertos around, and a highly appreciated break from the overfamiliar 19th-century warhorses that orchestras usually program, brilliant as they are for their time. I would not be at all surprised if one day soon an opera company (Los Angeles?) comes knocking on Elfman’s door with a commission or co-commission for a vocal stage work. He’s got it in him and he’ll be happy with the challenge. Thomas Søndergård graced his audience with one final selection as an encore, by British composer Malcolm Arnold, a pleasingly jaunty sea chanty heavy on the brass that concluded with the cheeky “shave and a haircut, two bits.” It may have been a subtle way of congratulating Elfman for progressing on to concert music, for the prolific Arnold, who wrote nine symphonies, numerous concertos and a large catalogue of other works, was himself a distinguished award-winning film composer. Arnold is responsible for, among many others, scoring The Bridge on the River Kwai, The Inn of the Sixth Happiness, I Am a Camera, 1984, Dunkirk, a 1969 version of David Copperfield, and the music for the entire series of St. Trinian’s films. I couldn’t help noticing the large number of women along the Royal Scots, especially among the strings. Out of 86 instrumentalists listed in the program, if my gender-recognition name system is working properly, 38 are women, including the concertmaster, Maya Iwabuchi. And for those too timid to asking that burning question, were they all wearing kilts? No, standard tuxedos for the men and black outfits for the women, though there were more than one gentleman in full kilts seen in the audience.